Historically low interest rates have been with us for the past several years but may soon be coming to an end. Mortgage rates are up for the third straight week. According to Freddie Mac the average rate on a 30 year fixed mortgage rose to 3.85% this week, up from 3.80% just a week earlier. This is the highest mortgage interest rates have been since last March. Lenders have been warning of rising interest rates since last year but economic conditions have kept rates in the low to mid 3% range for longer than anticipated. As the economy and employment numbers improve, interest rates will begin to tick upward. If you’ve been thinking about refinancing your current mortgage or you’re still on the fence about buying a home, time may not be on your side. While there shouldn’t be concern about a 4% or 5% mortgage interest rate (I remember the days when interest rates were in the teens – yikes!) but every time interest rates increase affordability declines. If you’re in the market to buy a home in the next 2-3 months, talk with your lender about locking your rate. 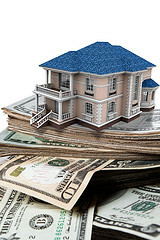 If you’re thinking about refinancing your home don’t put it off any longer. Get your paperwork together and submit it to your lender. Procrastinating could cost you money. This entry was posted in home loans, mortgage rates, REAL ESTATE and tagged home financing by Robin Myers. Bookmark the permalink.